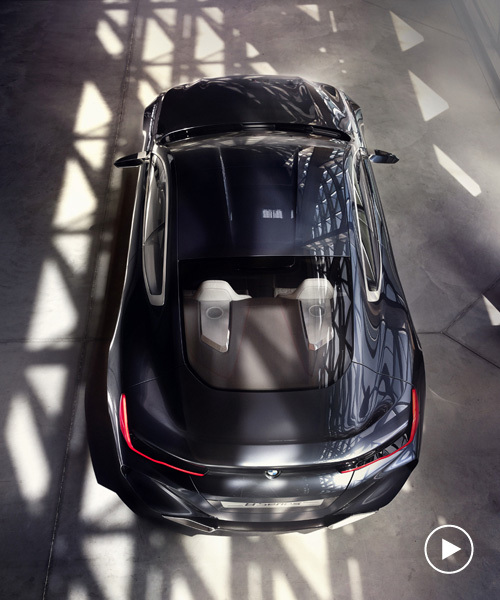 BMW is using this year’s concorso d’eleganza villa d’este—currently getting underway at lake como—to unveil the new ‘concept 8′ series. 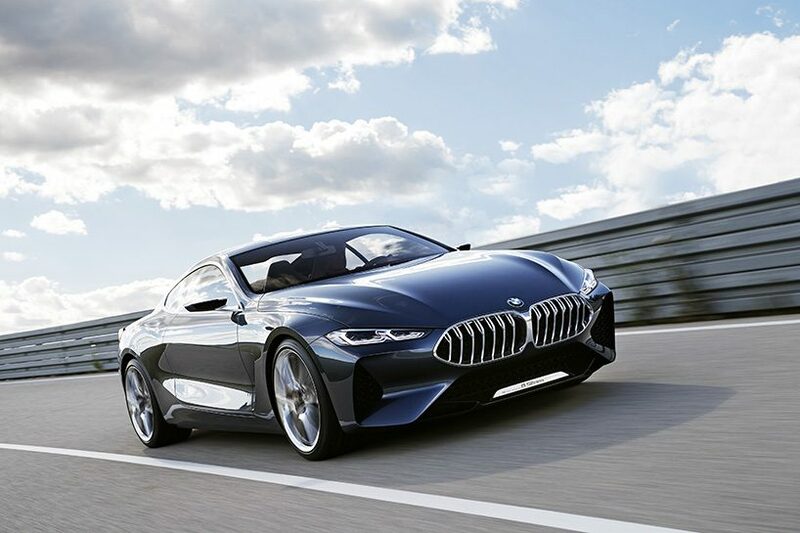 the design reveal serves as a preview of the forthcoming BMW 8 series coupe, scheduled for launch in 2018. the elegant concept car is instantly recognizable as a BMW in the way it simultaneously showcases new design ideas alongside form-building techniques. 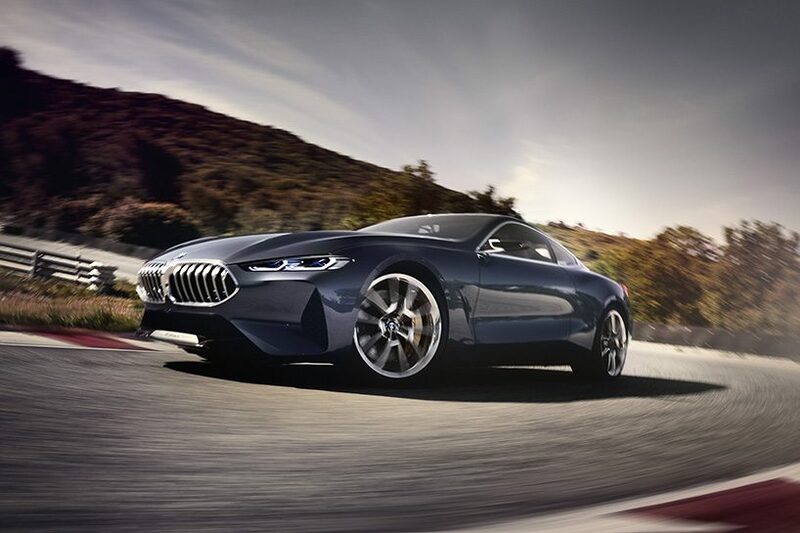 the interplay between the BMW concept ‘8’ series’ long bonnet and flowing roofline brings a sense of motion to the car’s flanks, while the upward sweep of the its trailing edge provides a sharp conclusion to the car’s rearward flow, while adding a sporting flourish. 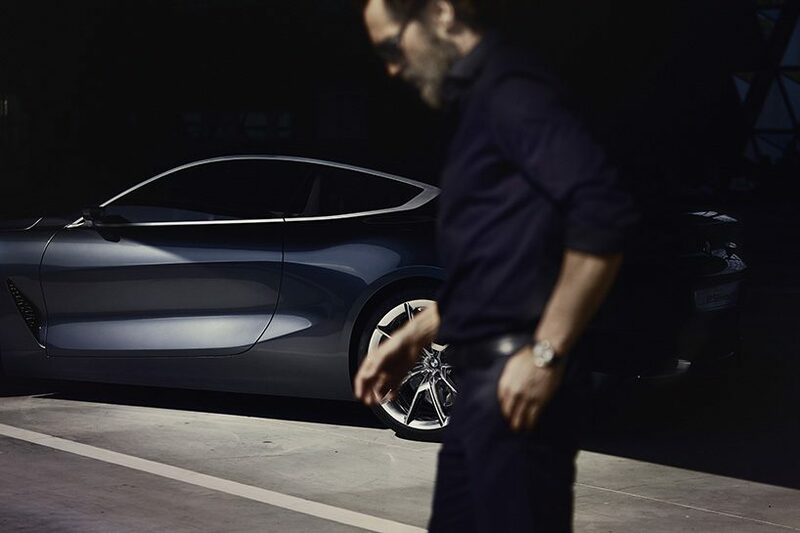 the silhouette of the concept vehicle spreads powerfully over the road. within the silhouette, a clean, dramatic arrangement of surfaces and forms creates a crisp, contemporary look. skilfully moulded line sources and flowing highlights accentuate the concept ‘8’ series’ athleticism. a greyish-blue exterior paint finish named ‘barcelona grey liquid’ shows off the surfacing to optimum effect. 21 inch light-alloy wheels feature a sporty and exclusive multi-spoke design and aero elements, create visual depth and completes the sense of motion from a standstill. 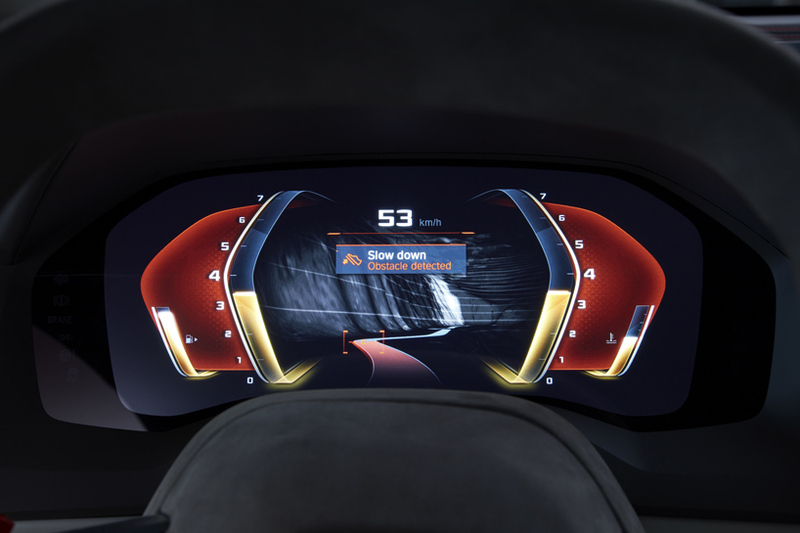 the concept car’s front end is sporty, low-slung and visually striking. 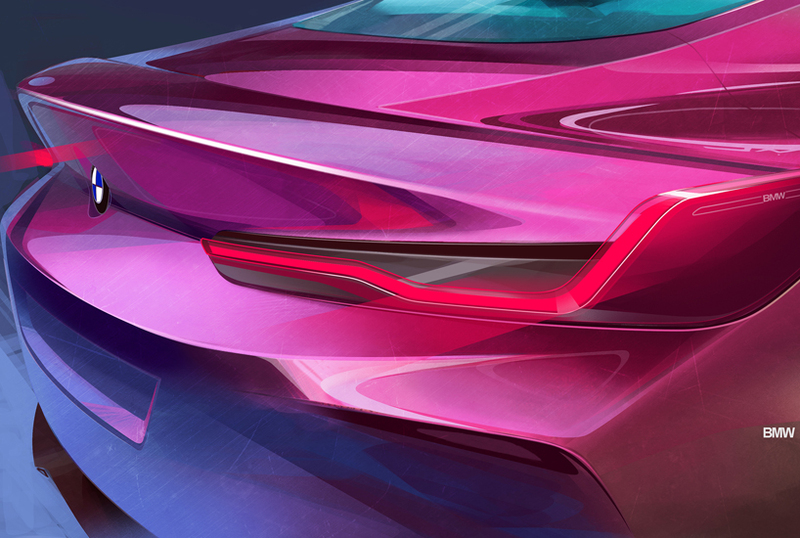 the classic BMW template now has a fresh interpretation, taking the company’s design language in a different direction. 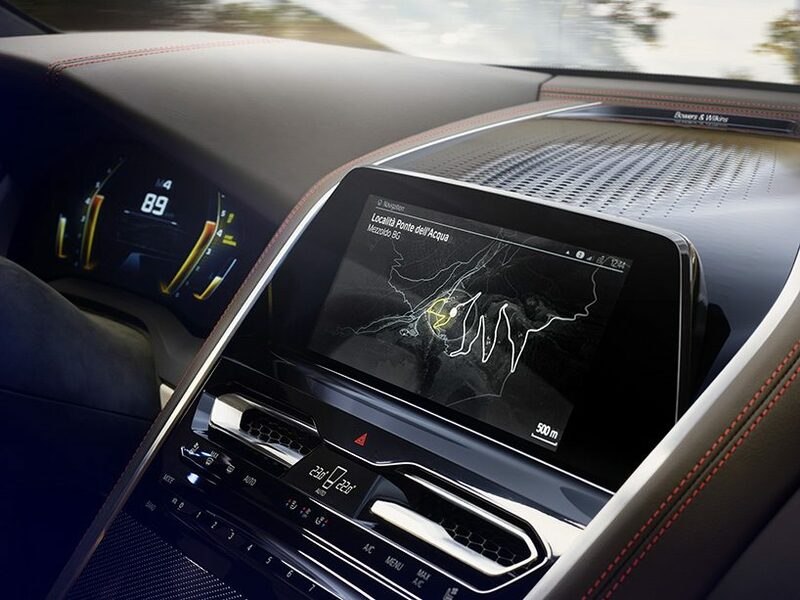 a large kidney grille, slim twin headlights and large air intakes form a striking, sporty front-end graphic. 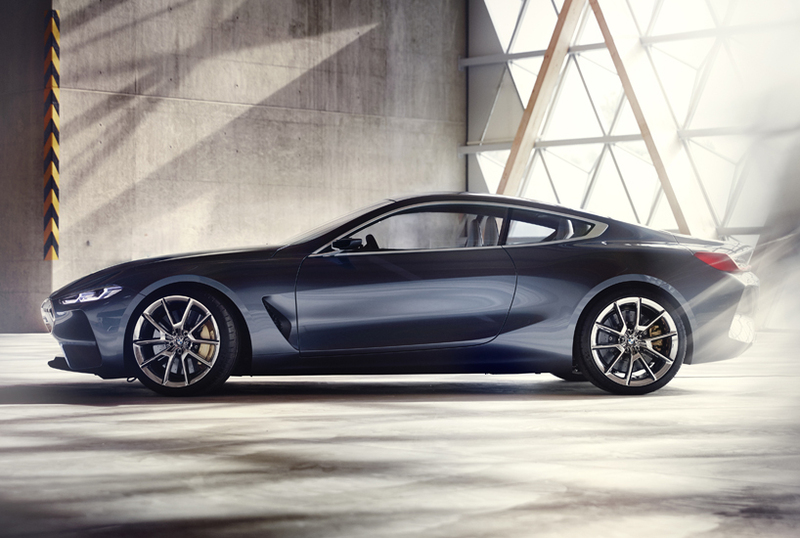 drawing inspiration from the company’s coupes of years past, the kidneys are brought together by an unbroken frame to form a single, wide element, emphasizing the dynamic character. super-slim laser headlights, and a hexagonal take on the ‘twin circular’ theme, brings a focused look to the front end. 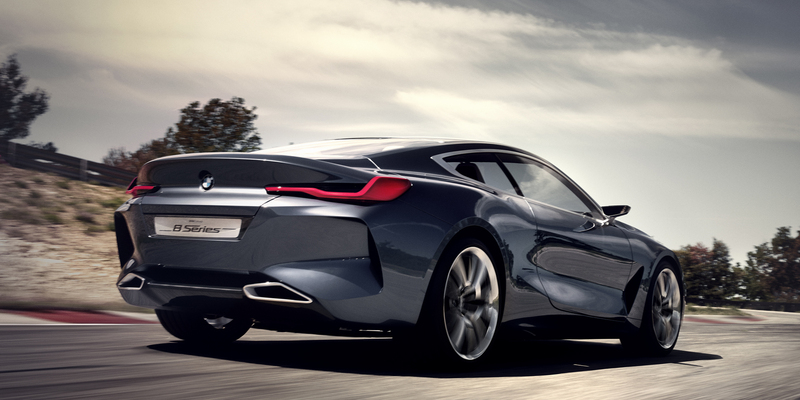 the concept’s back features a low, sculptural tail with maximum width-enhancing effect. powerful wheel arches hint at the car’s power and celebrates its rear-wheel drive. 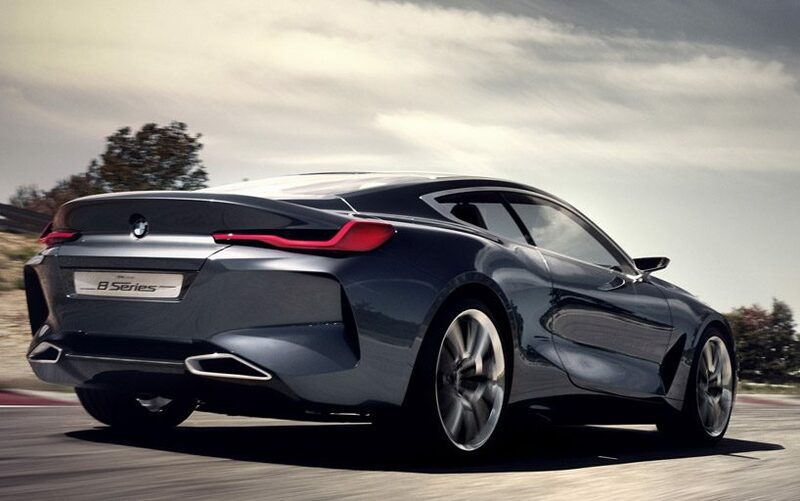 the elongated, slim rear lights extend far into the sides and provide a connection between the rear and flanks. 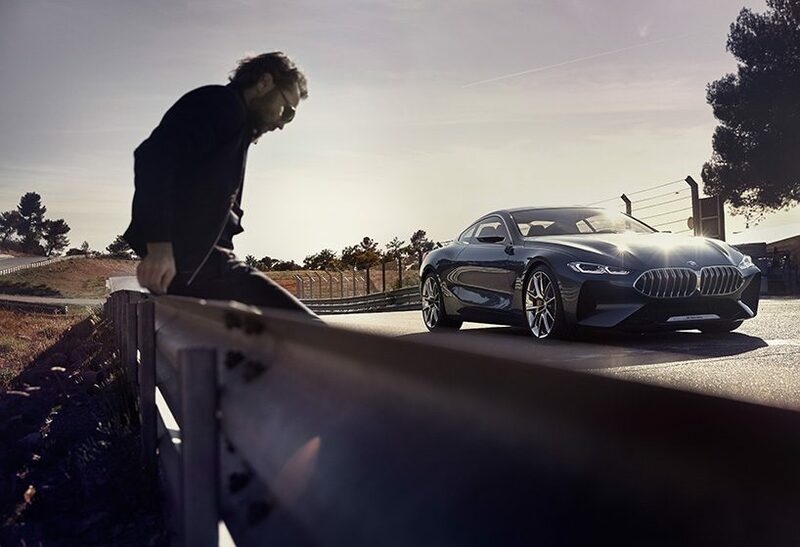 the lights take the form of L-shaped blades and project out from the rear, emphasizing the width of the car and its muscular stance on the road. the dark, stylized carbon-fibre diffuser in the lower section of the rear apron adds extra lightness and a sportier feel to the rear graphic. 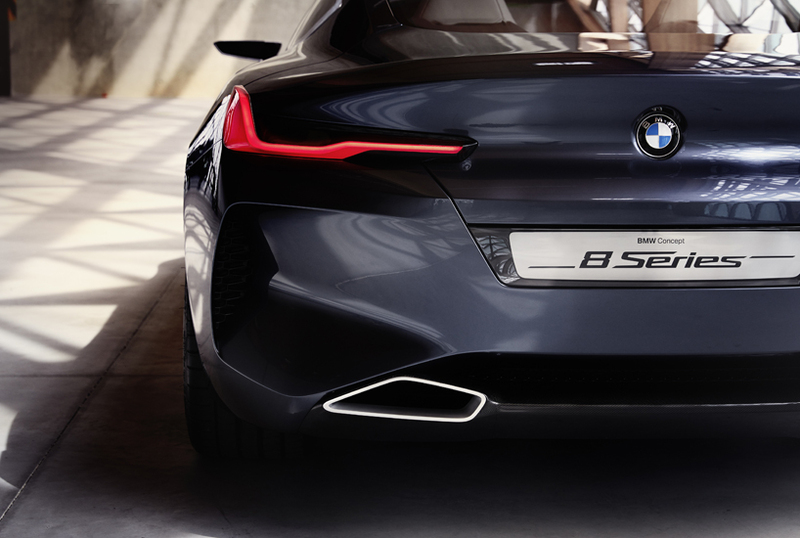 trapezoidal exhaust tailpipes frame the rear section and points to a powerful driving experience. 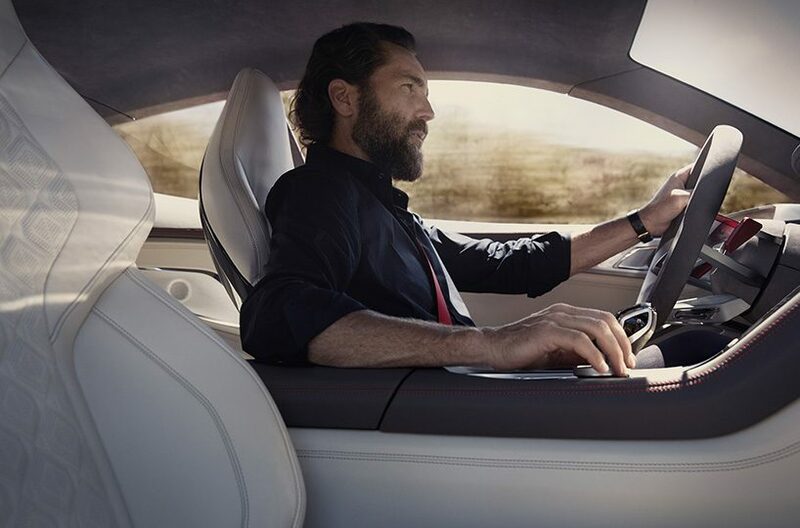 the interior explores the contrasts between emotion and engineering, dynamic flair and luxury; its form suggests sportiness, while high-quality materials exude exclusivity. 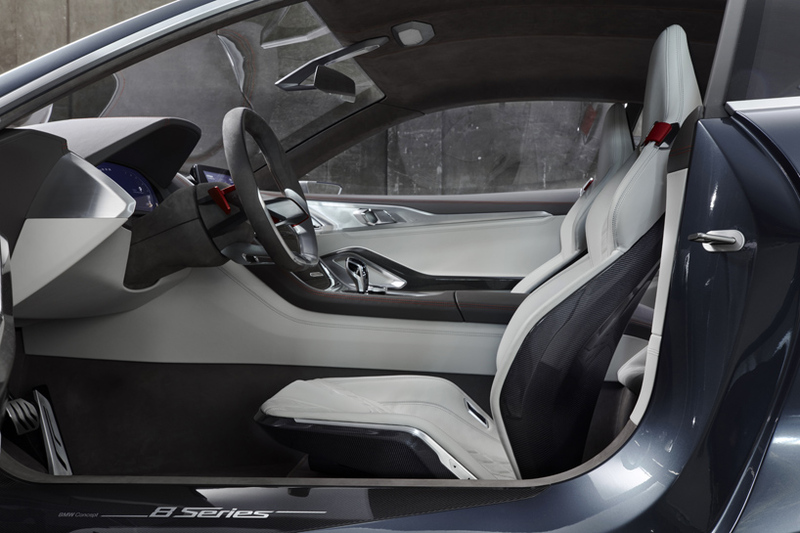 the exclusive sports seats are slim in design, a carbon-fibre shell provides the basic structure, and the finest leather makes them the perfect place to sit. the steering wheel features hand-polished aluminum spokes arrowing forward, and red-anodized shift paddles bring the race track to mind. 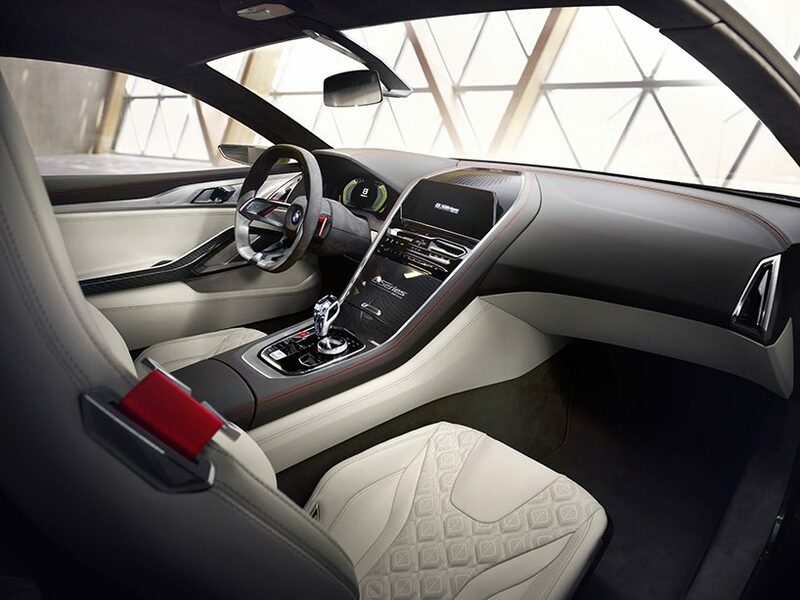 the contrast of aluminum and dark leather on the gripping surfaces emphasizes the sense of sporting-luxur in various details. 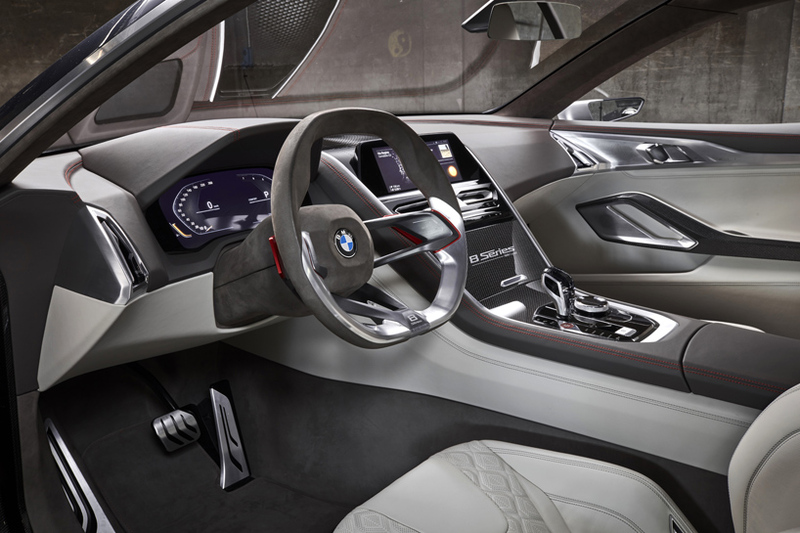 merino leather in ‘dark’ brown and ‘fjord’ white lends the interior a high-quality ambience. surfaces are clad in carbon fibre and hand-polished aluminium, creating attractive contrasts, while radiating a sporty and technical feel. 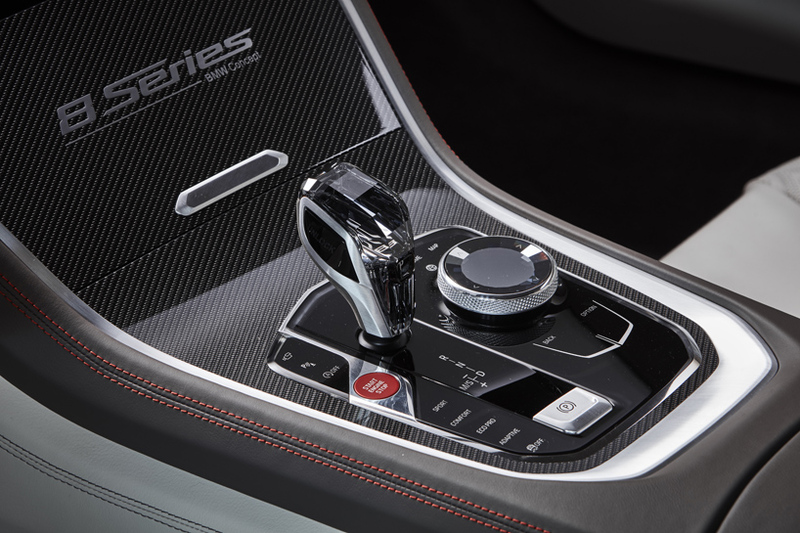 a faceted ground gearshift lever, plus an ‘iDrive’ controller made from swarovski glass with a smoky quartz look, give the interior some contemporary finishing touches. In profile, a revived Volvo P1800. 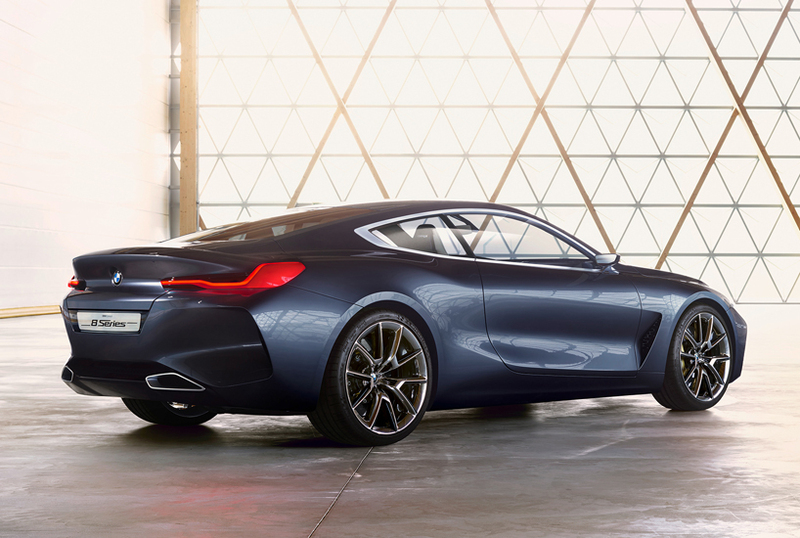 Ok, the Z4 was called a land shark and but this awesome car makes me think – Barracuda! 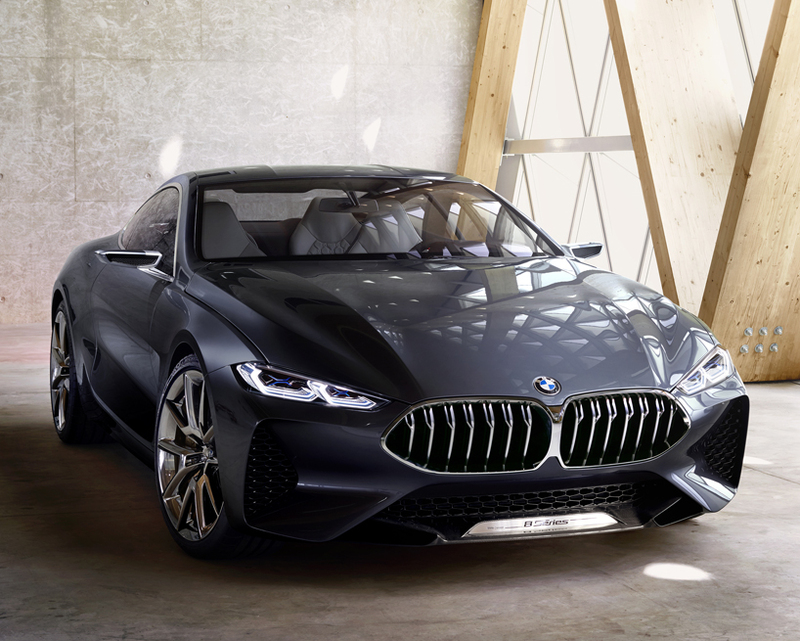 Just turned in my GC M6-absolutely phenomenal, so when will the GC M8 arrive? The body looks similar to a Mustang. It’s a GAMECHANGER!!! I’ve got 11 months left in my X6M. I got next!